The multi-view camera system is worth upgrading to for outward visibility—especially if you have passengers on a regular basis. Among luxury crossovers, the Acura MDX is a standout in nearly every possible way—and it stands as quite a counterpoint to the brand’s sedans, which can’t seem to find traction with mainstream buyers. While this model is already one of the best-driving models in its class, the 2017 Acura MDX has been given ride and handling improvements, more standard active-safety features, and a new Sport Hybrid variant that delivers better performance and higher fuel economy numbers. The 2017 MDX wears a better-looking nose than in years past, a version of the diamond pentagon grille previewed the Precision concept from the 2016 Detroit auto show. In addition to that, it gets newly sculpted front fenders, a new hood, and LED fog lamps with restyled jewel-eye headlights. Chrome rocker panels, some additional lower-body trim, and a twin-tailpipe design in back help keep the look sporty. Inside, the front-end theme is echoed by the dash, with its V-shaped center stack and sloping, tiered design. The dash design complements the rest of the cabin, and the materials used for interior trim are nicely coordinated. 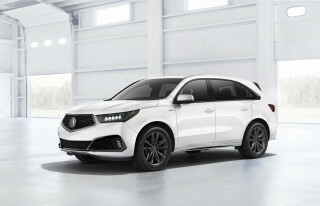 Although Acura just updated the MDX last year with a new 9-speed automatic transmission and other fresh features, this year it’s even more substantial. New to the lineup for 2017 is the MDX Sport Hybrid SH-AWD. Much like the RLX Sport Hybrid sedan, the MDX Sport Hybrid packs a 3.0-liter V-6 with a special 7-speed dual-clutch transmission and a three-motor hybrid system (one motor at the transmission, two for the rear wheels). This system makes 321 horsepower altogether, and delivers smart all-wheel-drive performance and improved acceleration and handling, plus EPA ratings of 26 mpg city, 27 highway, 27 combined. 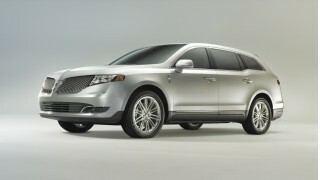 The rest of the MDX models are powered by a 3.5-liter V-6, with standard front-wheel drive, or available all-wheel drive. This direct-injection engine makes 290 hp at 6,200 rpm and 267 pound-feet of torque at 4,500 rpm. It’s a smooth, refined engine, with plenty of power whether moving from a standstill or needing to pull off a pass on a two-lane road. However the 9-speed automatic transmission that was introduced last year lacks the refinement and seamless shifts of the previous transmission, even though it did improve acceleration. The all-wheel-drive system in the MDX is unique in its class: it's a mechanical torque vectoring system, which can move power front-to-back, and side-to-side. It may not sound significant, but it's one of the few systems on the market and it greatly improves drivability and capability in the MDX. There are two different packages offered for the 2017 Acura MDX. Both come with new shocks as well as an Integrated Dynamics System, which offers Comfort, Normal, and Sport settings, as well as a Sport+ performance mode. The Sport setting quickens steering response, while the Comfort settings results in lighter steering feel. On all-wheel-drive models, the system more aggressively distributes power to the outside wheels in a curve. The 2017 Acura MDX remains among the roomiest three-row family utilities. Yet our high ratings also come from an abundance of features, an excellent ride, and comprehensive safety ratings. Its interior is also surprisingly quiet and refined. 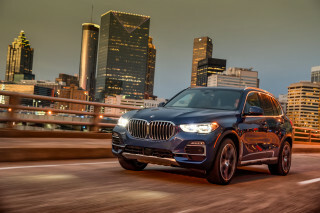 The big crossover SUV can seat up to seven passengers, and it's positively stuffed with convenience features that make it easy for everyday transportation of large families and a lot of their belongings. 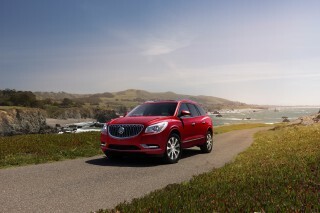 The cabin is highly functional and one of the roomiest three-row crossovers in its class. The front seats are supportive yet plush, while low side bolsters make getting in and out easier. The driver's seat on MDX models slides rearward whenever the door is opened, making getting in and out easier. The MDX Advance can be had with two second-row captain’s chairs. As for models with the bench seats, the second row slides fore and aft 6 inches, giving back-seat passengers more leg room, or providing more space for third-row passenger or cargo. A small illuminated button beside the second-row outboard seats is provided to aid third-row access: Pressing the button enables a neat, cleverly designed semi-powered spring-loaded process. Getting into the third row is still difficult, however, best left for the young. Once back there, the high floor level makes it uncomfortable for all but children who don't seem to notice discomfort. The MDX has been an especially strong performer for safety, and that holds true whether you place more emphasis on the crash-test ratings themselves or potentially accident-avoiding active-safety features. It's earned the IIHS Top Safety Pick+ accolade, as well as five-star scores from the federal government in overall, frontal and side impact. This year, the MDX gets the AcuraWatch suite of safety and driver-assist systems as standard. That includes forward collision warning with automatic emergency braking, lane-departure warning, road departure mitigation, and an adaptive cruise-control system with low-speed follow. Rearview and a surround-view camera system are also included. The Acura MDX lineup already includes a wealth of features, and that set has been again expanded this year. For 2017, the MDX automatic high-beam headlamps and upgraded satellite radio, and it comes standard with tri-zone automatic climate control, four fast-charging USB ports, and a leather-trimmed interior with a 10-way power adjustable driver’s seat. An audio system with eight speakers is standard, with 10- and 12-speaker systems part of the Advance or Technology packages. Both of those models get LED fog lamps, a heated steering wheel, and a surround-view camera system with multiple views, plus Olive Ash or Black Limba woodgrain cabin trim. The 2017 Acura MDX is on sale now; Sport Hybrid models went on sale in March 2017. The MDX cuts a handsome profile, and its updated look continues to wear well. The styling of the current MDX has not changed in any major way since this third-generation version was launched for 2014, but this year a better-looking nose and reshaped fenders freshen up the shape. The current MDX design looks slightly more sport-wagon than the more upright SUVs in this class. Still, the MDX profile is more similar than different to that of the other premium mid-size SUVs. The 2017 MDX puts its former beak-like front end mostly in the past. It gets a new diamond pentagon grille, newly sculpted front fenders, a new hood, and LED fog lamps with restyled jewel-eye headlamps. Chrome rocker panels, some additional lower-body trim, and a twin-tailpipe design in back help keep the look sporty. While the smaller Acura RDX looks a bit larger than it is, it’s the opposite with the MDX. The tapered roofline, the chiseled front end, and the smooth rear end all serve to make the MDX look more than ever like a sport wagon. Inside, the front-end theme is echoed by the dash, with its V-shaped center stack and sloping, tiered design. The dash design complements the rest of the cabin, and the materials used for interior trim are nicely coordinated. It's not opulent, not overly festooned with wood trim or glitzy add-ons. We're not in love with the center stack's functionality, but we like the way the entire dash fits in with the rest of the cabin, from a design standpoint. The MDX has a powerful drivetrain, but the automatic doesn't always shift smoothly. 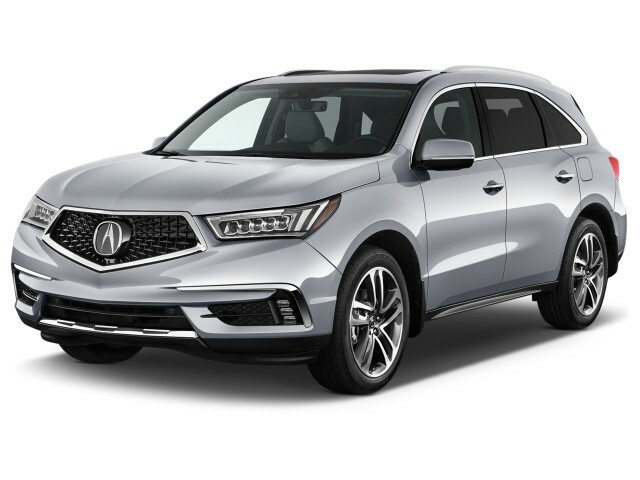 The Acura MDX performs admirably for a vehicle this large; it’s as close to nimble and responsive as you can find in a vehicle with seats for seven people. It’s a very easy car to drive. The MDX’s 3.5-liter V-6 was the brand’s first direct-injected engine. It uses the i-VTEC valvetrain with two-stage Variable Cylinder Management; when cruising along or under other light-load conditions, VCM closes the valves and shuts off the fuel injectors to the rear three of the six cylinders for additional fuel efficiency. This engine was developed from Acura’s successful endurance racing engine, a 60-degree aluminum V-6, single overhead cam with 24 valves. 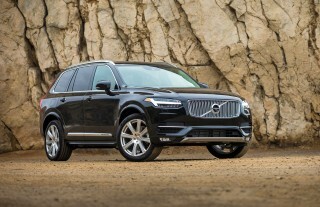 It’s rated at 290 horsepower and 267 pound-feet of torque. The torque is produced at low rpm, useful for driving around town and on winding roads. We found the V-6 smooth and willing to rev to the 6,700-rpm limit. The new 9-speed automatic transmission is smooth enough in most driving situations, but it’s not perfect. Pressing the D/S button on the pushbutton transmission selector on the center console area switches the shift mapping between Drive and Sport. In Drive mode, the transmission does all the shifting automatically. Pressing the D/S switch changes it to Sport mode. Using the paddle shifters behind the steering wheel when in Sport mode generates quick throttle-blip downshifts or upshifts. The Sport mode works like a true manual mode because the transmission will actually let you hold onto gears all the way to redline, or all the way down to where you're starting to lug the engine. The 9-speed has many ratios to choose from, and it occasionally gets confused by all those gears. When merging onto a freeway and transitioning from maintenance throttle to moderate acceleration it would hesitate for a moment as if trying to decide whether downshifting was needed. Pull into a parking space and switch off the engine and the transmission will automatically shift into Park, a nice feature. Special shock absorbers smooth the ride over rough pavement. This helps provide a balance between ride comfort and handling. The steering does not transmit a lot of feedback to the driver, but the vehicle as a whole feels capable and coordinated when driven near the limit. Super-Handling All-Wheel Drive (SH-AWD) available for the MDX provides excellent all-weather traction. The SH-AWD system is one of the few mechanical torque vectoring systems on the market, despite being in Acura vehicles for more than a decade. The system can vary front-wheel torque distribution from 90 percent down to 30 percent (70 percent to the rear), or up to 100 percent to either the left or right wheels. That greatly improves stability when driving in inconsistent wintry conditions: for example, patches of snow and ice mixed with patches of wet pavement or when the left wheels are on ice and the right wheels are on dry pavement. Front-wheel drive is standard. All MDX models are rated to tow up to 3,500 pounds, with a 350-pound tongue weight. That’s a lightweight towing capacity, good for a personal watercraft, snowmobile or motorcycle, but a bass boat might be pushing it, so don’t hook a heavy trailer up to one of these. As its (long) name implies, the MDX hybrid prioritizes sportiness alongside fuel economy, but the system does more than pay lip service to the idea. It's cribbed from the NSX and it's effectively a version of the powertrain in the Acura NSX supercar, with a detuned V-6 engine, and flipped back to front. The system in the NSX (and also in the RLX hybrid) uses electrons to power the front wheels, while the MDX uses the battery and motor system to power the rear wheels for all-wheel drive. Combined output is 321 horsepower, which is shifted through a 7-speed dual-clutch automatic. By driving the rear wheels with two motors, the MDX can selectively add or remove power where it's needed. That's the "Super Handling-All Wheel Drive" part of the moniker, and in our experience it works well. In several corners during our rainy drive in Seattle over 100 miles, we noticed the MDX Sport Hybrid steering us closer to the corner than we would have expected. Overall, it's a slick system that we like, and it's apples-to-apples cost with comparably equipped MDX models is roughly $1,500. The MDX has vast interior space and a well-fitted cabin. The MDX specializes in toting lots of passengers and lots of stuff, and that talent is undiminished—or unchanged—for 2017. The MDX is roomy for its class, and the front seats are comfortable, with sporty bolstering and better than average support. The 2016 model year brought the MDX a pushbutton transmission shifter. It's intuitive, and frees up considerable space on the center console. The shifter buttons are distinctive from one another both in appearance and feel and are very easy to use. It's a brilliant design. The center stack has a chrome surround and, while driving, we noticed it can reflect sunlight into the driver's eyes at certain angles. The center console has a deep bin, a great feature. Just aft of that and above is a smaller tray for a smartphone or other small items. Ahead of the console top, which doubles as an elbow rest, is a nice-looking woodgrain tray that slides to hide what's inside. On top are traction strips where you can set small items while driving. Cup holders are in a convenient location ahead of the center console bin. Ahead of those is a small bin for keys with a power outlet. The second row has ample room for adults big and small. It's split 60/40 and folds independently almost perfectly flat though there are a lot of gaps and holes. Pressing an illuminated button performs this task partly by power, partly by mechanical engineering, a clever design. The third row is big enough for medium-sized adults and children of almost any size. It's easier to access than before, too, as the second-row seats slide out of the way. The third-row seat also folds away by pulling a lever that mechanically flips it down; the head rests flip forward and out of the way and remain there so they don't go unused when someone sits back there, a good safety feature. The third row folds perfectly flat but leaves small square holes in the corners; you may want to stuff rolled up towels before putting your dog back there to insure it doesn't get a leg caught in there when you’re braking. Cargo space is large enough for small furniture, and the cargo area is fully flat when the second-row seats are folded. An underfloor storage area is provided with enough space for a laptop or camera bag or an extra pair of shoes, and it has a lid that can be propped up and out of the way when loading. The MDX is very quiet inside. An active cancellation system inside the cabin helps, as well as an active engine mount system that helps quell low frequency vibrations from the powertrain. Full-on acoustic glass is used for the windshield and front windows, while thicker, noise-insulating glass is used elsewhere; and Acura has added a load of insulation elsewhere, while looking at cabin air leakage to help seal out residual noise. The MDX earns some of the best crash-test scores in the luxury crossover class. With the MDX, Acura has one of the highest-rated vehicles in both federal and insurance-industry crash tests. The IIHS has just added the MDX to its 2017 Top Safety Pick+ list, which adds a tough new headlight test for the new year. The NHTSA gives the MDX five-star scores on all tests except the rollover-resistance test, where it earns four stars. This year, Acura has made a long list of advanced safety gear standard, including lane-departure and forward-collision warnings with automatic braking, and adaptive cruise control. A multi-view rearview camera is also standard, while blind-spot monitors, surround-view cameras, and front and rear parking sensors are optional. The best features lie in the MDX's pricey Advance and Technology packages. Priced from about $45,000, the 2017 Acura MDX bakes in plenty of luxury and convenience touches in its big crossover body. Every MDX has a V-6 engine and a 9-speed automatic with paddle shift controls. Front-wheel drive can be supplanted with all-wheel drive. The MDX also comes standard with a multi-view rearview camera; automatic climate control; leather seating; heated power front seats; folding second-row seats; power tilt/telescope steering; steering-wheel audio and phone controls; and 12-volt power outlets in the center console and front armrest. For the 2017 model year, all models have added standard satellite radio, four USB ports, a capless fuel filler, and a package of safety gear that includes forward-collision warnings with automatic emergency braking, lane-departure warnings, lane-keep assist, and adaptive cruise control. The Technology and Advance packages are available with or without a rear-seat entertainment system that includes a DVD player, a 150-watt AC inverter, heated second-row seats, and second-row window shades. The Technology Package adds navigation; premium audio; blind-spot monitors; front and rear parking sensors; automatic high beams; remote start; and 19-inch alloy wheels. The Advance Package adds wood interior trim; surround-view cameras; stop/start; the wide-screen rear entertainment system with HDMI; 12-speaker ELS audio; roof rails, and "Milano" premium perforated leather upholstery with ventilated front seats. The adaptive cruise control that's included in Advance Entertainment models includes a low-speed follow feature that will maintain a set following distance and will come to a complete stop with slow-moving stop-and-go traffic. The base audio system includes eight speakers and 432 total watts. The optional Acura/ELS audio system comes in three configurations. With the Technology Package, you get 10 speakers and 501 watts. Step up to the Tech and Entertainment Package, with its DVD rear entertainment system, and there are 11 speakers and 529 watts. Then at the top of the line, with the Advance Package (and its 16.2-inch Ultra-Wide HDMI entertainment system), you get 12 speakers and 546 watts. Streaming apps are available through Aha and Pandora. We're not anything like in love with the MDX's infotainment interface, but the add-on features wrapped into it make commuting easier and make the setup worthwhile. The MDX's AcuraLink system includes a complimentary three-year subscription to the Standard Package with traffic info for surface streets and freeways, vehicle messaging, and integrated Aha and Pandora entertainment. A Connect Package adds Assist Services, Map Services, and MyVehicle (remote vehicle services and diagnostics). Full-on concierge services are available with a Premium Package. The MDX gets average fuel economy, but it's very good in its class. The EPA's checked in with its ratings for the 2017 Acura MDX, and they're still good for the class, average in the wider scheme. The agency reports this year's MDX earns 19 mpg city, 27 highway, 22 combined. That's on front-drive versions; with all-wheel drive, the MDX is rated at 18/26/21 mpg. Premium gasoline is required. 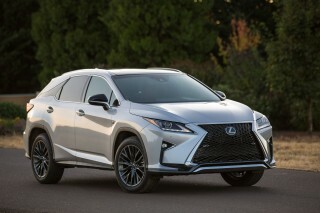 The EPA rates the Sport Hybrid at 26/27/27 mpg. The EPA rated the MDX with stop/start separately from the rest of the lineup. 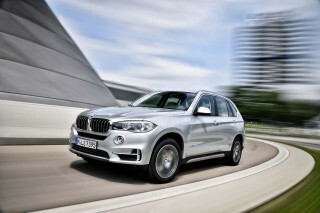 It gets 1 mpg better on both the city and combined cycles, on either the front- or all-wheel drive models. Start/stop is offered on top versions of the MDX with the Advance package. The Navigation System doesn't work!! !